"The final product has met and exceeded our expectations. We are very proud of the website and so grateful we were steered your way. We know we are in good hands and minds." 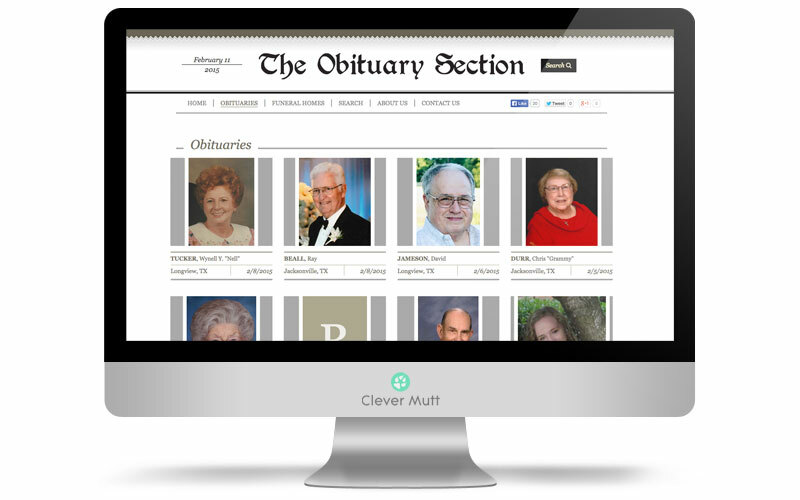 After meeting with us and hearing our ideas, Clever Mutt™ was hired by The Obituary Section to provide a clean mobile responsive website with custom obituary and funeral home database management, banner advertisements, send to a friend features and more, powered by the Clever Mutt™ Portal web CMS. We also provided digital marketing services such as logo design and ongoing performance tracked, active social media marketing campaign services. 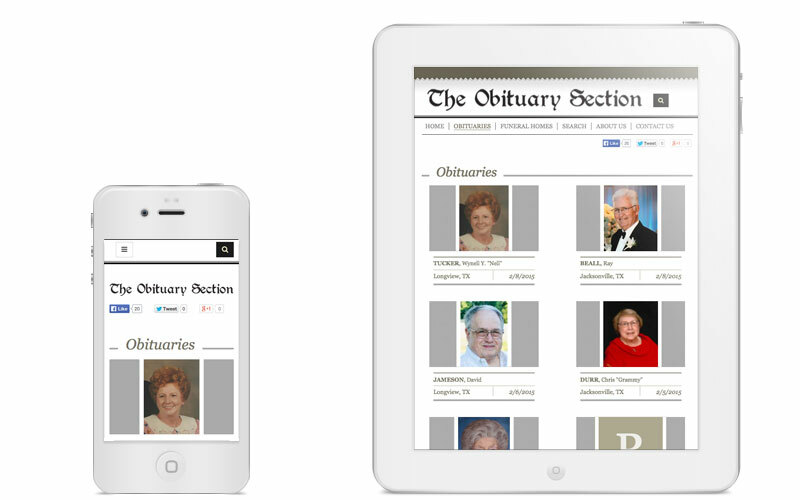 We at The Obituary Section believe that everyone deserves an obituary upon their death. It is important to recognize and honor their lives, for timely notification of services and to provide future generations a written record of the occasion. 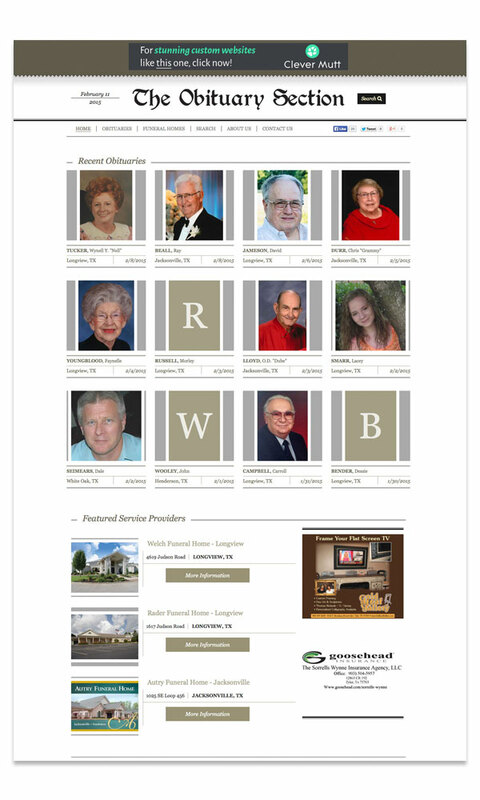 However, the newspaper industry is experiencing many changes making timely obituary notices difficult. In many markets the cost of an obituary places it out of reach for many families. Personal remembrances, community involvement and details of a life well lived are often not included in order to keep the tribute brief. We provide a better alternative.